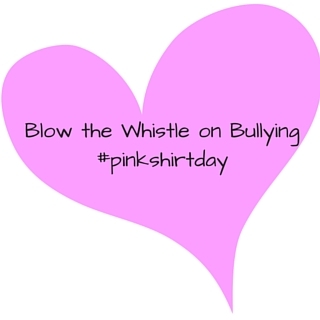 The purpose of the #pinkshirtday campaign is to bring awareness to bullying and harassment in our schools and community, and to work together to pay kindness forward to each other. Bullying and harassment doesn’t start and end in schools. It happens in the workplace too. One particular type of bullying that doesn’t get much attention is ostracism. Perhaps because it doesn’t take much effort, physically or verbally to participate in. Typically the type of bullying that makes headlines is verbal and physical abuse, as well as ever increasing cyber bullying. But just because nothing is being done or said, doesn’t make the silence of ostracism any easier. Ostracism is a silent bully. But is negative attention better than no attention? In the past decade, research has established bullying as a prevalent problem among working North Americans. A survey by the Workplace Bullying Institute at the beginning of 2014 found that more than a quarter of adults have suffered from some form of harassment at the office, most of it from superiors. The effects this had on employees was severe, including anxiety, depression, and, in extreme cases, post-traumatic stress. However, as damaging as an office bullies’ unwanted attention is, a group of researchers believe that they have found something even more harmful than that unwanted attention in the workplace: no attention at all. A recent study out of the University of British Columbia’s Sauder School of Business, in Organization Science, found that the consequences of workplace ostracism, compared to workplace bullying has much worse affects on an employee. This study also reported that of the people who indicated being ostracized, they were more likely to quit their jobs, compared to those who received attention in the form of bullying. The researchers say that the response is quite striking because ostracism is seen as far more socially acceptable than bullying, and they found that workers consider ignoring their colleagues more appropriate than harassing them. Ostracism in the workplace need not be intentional to be harmful. In some cases, busy or very unsociable co-workers may have no idea they’re being cruel by neglecting one of their colleagues. So here’s our challenge to you. Do you have a speak-up culture where your employees feel safe to report on bullying and harassment? 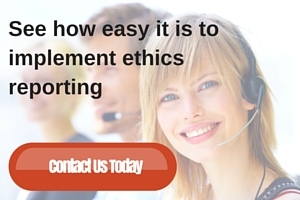 If 72% of employees know that there’s workplace bullying happening, do they feel safe to come forward to report on it? Do they have a safe place where they can report? Don’t wait for something bad to hit the headlines – because more bad stuff makes the news than good. It starts with small steps in the detection and prevention of bullying and harassment. Eventually prevention tactics catch on and a negative issue subsides. Have you provided your employees with the tools they need?